CSS Group was honored with Best International Logistics &Freight Forwarding Firm 2018 award constituted by MEA Markets. MEA Markets is a quarterly publication dedicated to researching and publicizing the major moves and events as they happen across the entire Middle East and African regions. Since its inception in 1995 CSS Group has become a renowned name in the freight forwarding industry, and today it is one of the leading integrated freight forwarding solutions provider with close to 25 years of experience. Constantly adapting to its customers’ changing needs, the company has enriched its expertise to become a tier-one logistics and freight forwarding partner in the GCC, with integrated logistic networks in Africa, Middle East, Europe and the Americas. Headquartered in Dubai, United Arab Emirates, the CSS Group is spearheaded by its Chairman T. S. Kaladharan. The company, through its corporate diversity and willingness to keep learning and relearning, has earned its collective experience within the industry. With a team consisting of over 750 experienced and dedicated professionals across 20 locations, the CSS Group is able to meet a client’s freight forwarding requirements: be it by sea, land or air. In today’s market, the UAE and GCC have become a hub for companies originally based in the UAE and China, for instance. The CSS Group being the strongest in the Middle East, has had a head start in this regard. Its strong relationship with customers, as well as being a one-stop solution, has given them comfort in knowing they are in great hands. To support clients in this fast paced corporate hub, CSS understands the need to constantly evolve and change. The team have to keep moving, study the market and ensure that they are, in terms of logistics, up to date. 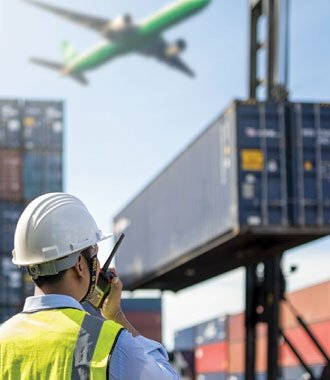 Thanks to this focus on constant improvement, alongside its vast industry experience, the group has a built an exceptional reputation, especially with UAE customs. Alongside its focus on industry developments, technology is also a key focus for the group. The CSS Group has been investing in the use of technology since its commenced operations, as the Chairman and founder saw how big technology would play a part in the future of this industry. The group developed its own software, now known as FINS, more than 10 years ago that it is constantly improving on, based on new requirements. As part of this approach, the group’s IT team constantly reads, explores, and carries out R&D with, say, CRM and budget reports. During all its international business visits, the group brings back best practices from every location that it interacts with, exploring whether any of this can implemented in the group’s current structure. For instance, when it comes to 3PL, CSS Group tailors its in-house software around what the customer wants. Even if they say they would like to see reports or data through software of their own, the group integrates it with theirs, to ensure an easy, hassle free experience for every client. Ultimately, CSS Group’s ongoing focus is to become the one-stop solution for its customers that not only cover B2B but also B2C. To achieve this, the group has further expansions across Asia planned. Additionally, the team are keen to support their customers through their entire cargo cycle, from production to delivery and distribution. This includes spare parts, Yacht and Marine, Hospitality and Hotel Logistics as well as Auto logistics divisions. Driving these changes and growing in these areas will offer the group many exciting opportunities to grow and flourish over the coming years. CSS Pakistan relocated their Corporate Head Office effective from July 10, 2017. We value your association with us & wish to extend our thanks to your continued support. Please update your record accordingly. We look forward to serving you at our new location. APL has announced the launch of a new weekly service – the India Pakistan Europe (IPE) Service, directly connecting the key South Asian markets of India and Pakistan to Major Ports in Europe. The new IPE service builds on APL’s strong market presence and local expertise in India and Pakistan to enhance its Asia-Europe service offerings. “Europe is a premier trading partner and a major export market of South Asian countries. It is opportune that we expand our service coverage in Asia-Europe through the new IPE service, directly linking the major economies of India and Pakistan to Europe. As APL offers market connectivity, our priorities are also to provide reliable and timely cargo shipments across all regions,” said Mr. Eric Eng, APL Head of Asia Europe Trade. With fast transit times from India and Pakistan to North Europe, the IPE service will call the Ports of Port Qasim, Nhava Sheva, Hazira, Mundra, Jeddah, Djibouti, Southampton, Rotterdam, Antwerp, Felixstowe and Le Havre. First sailing of the IPE Eastbound service will commence on October 1, 2016 from Southampton. First sailing of the Westbound service will commence on 4 October 2016 from Port Qasim. 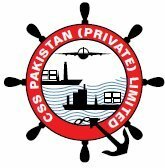 As part of its global expansion, CSS Group is pleased to announce the opening of CSS Pakistan office with a well-experienced and dedicated professional team, which undertakes tomorrow’s job today by combining product knowledge and market experience to bring service quality and cost effective freight solutions. CSS Pakistan is a Consolidation Specialist offering guaranteed neutral LCL services and have comprehensive global coverage. Their mission is to provide seamless services to the customers by offering the largest number of direct sailings, both inbound and outbound. Why CSS Pakistan for LCL Products ? Strategically positioned with its corporate office in the city of Karachi, CSS Pakistan is a name to reckon within its field of knowledge. CSS Pakistan has rapidly increased its pace with starting as a consolidator and freight forwarder and spreading out its arms into the spectrum of Air & Sea freight, Land transport & Projects handling, creating its own mark of glory in each and every task it undertakes. The spread out presence across the country with strong hold offices in various other locations made CSS Pakistan one of the undisputed market leaders in the country. The geographic location of Pakistan has made it the most sought after routing for Afghan transit trade and Karachi port acts as a gateway port to Afghanistan. CSS Pakistan is well equipped to handle all Afghan transit cargo whether it is transport, storage or documentation adapting expedient solutions without compromising on the security factor. © 2019 Lighthouse. All rights reserved. Designed and maintained by NetVenture Digital Solutions Pvt. Ltd.
Like to update your information with us to continue receiving CSS Group’s Lighthouse magazine? Unsubscribe from both Mailing and Email list – I can just visit www.cssgroupsite.com/lighthouse to stay up to date on industry best practices if I get time. Thank you for your time with us - we’re sad to see you go but hope you know we will always be here for you. Glad you changed your mind! Please update a few of your details with us to continue receiving the best kind of experiences.